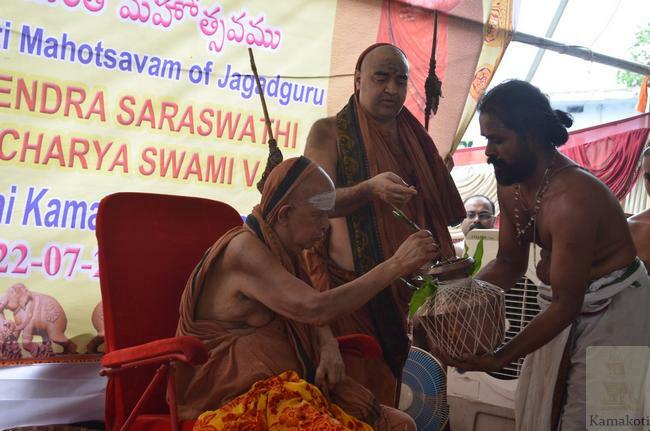 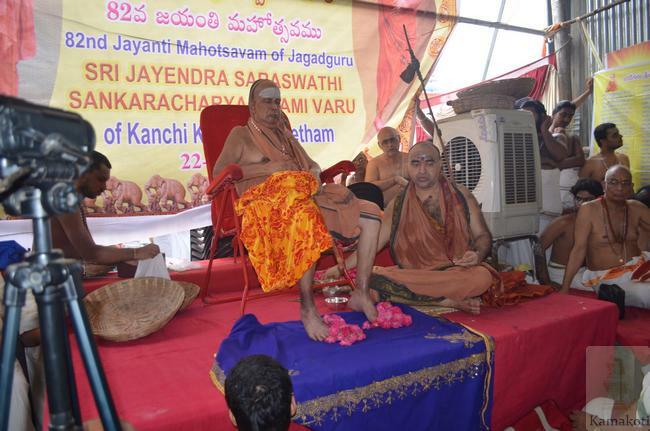 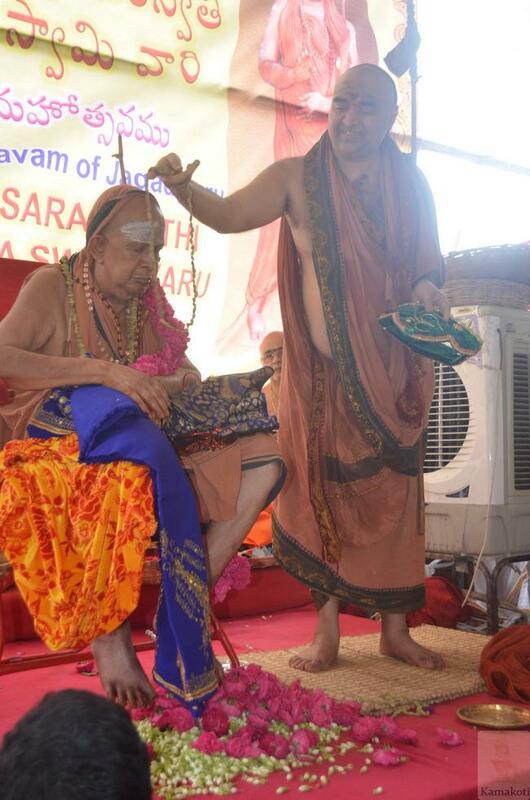 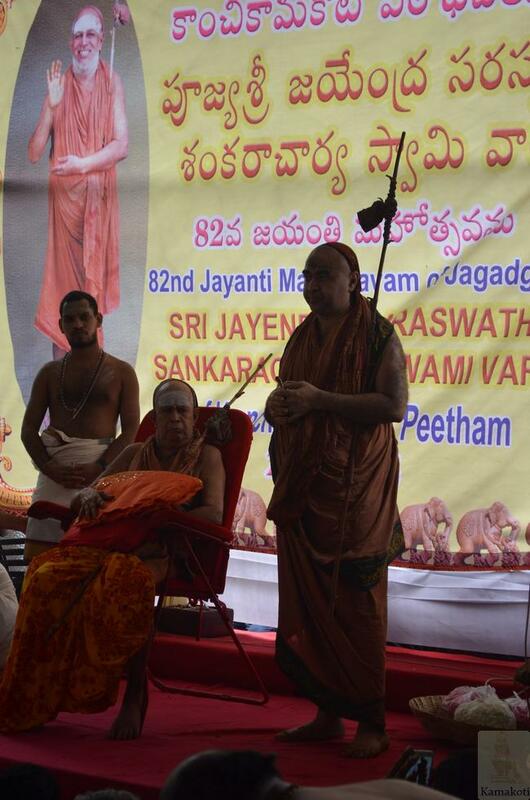 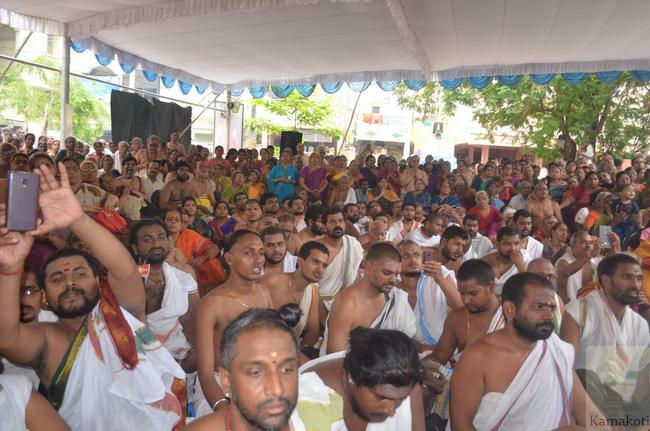 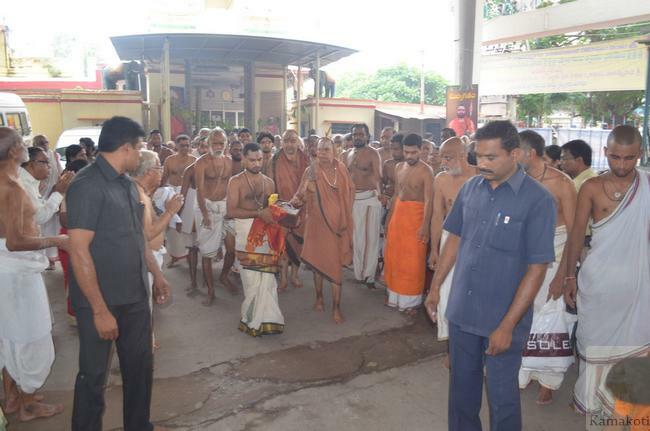 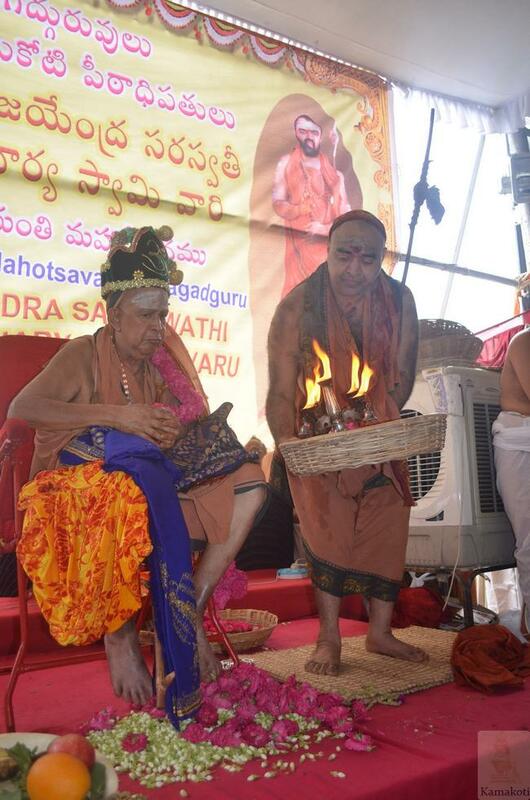 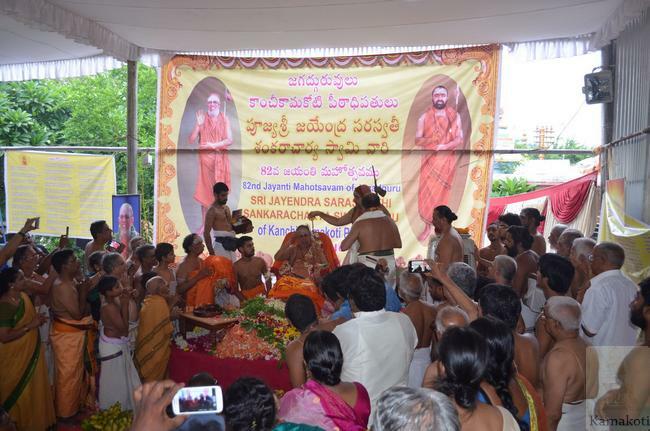 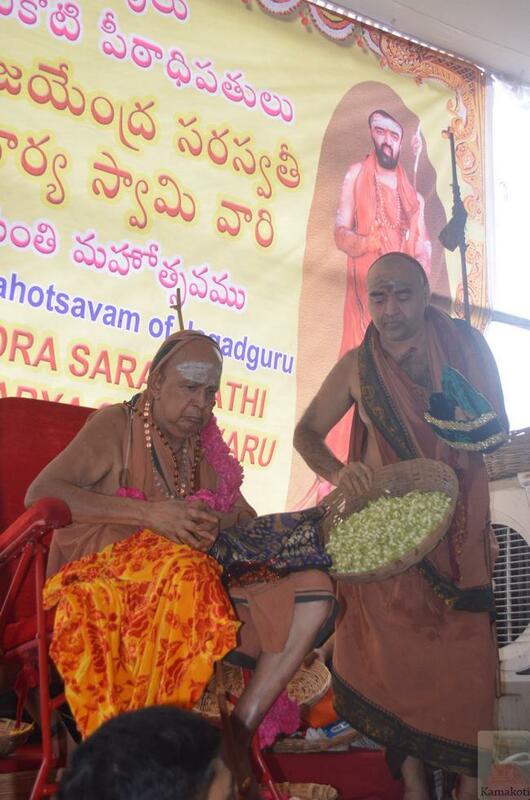 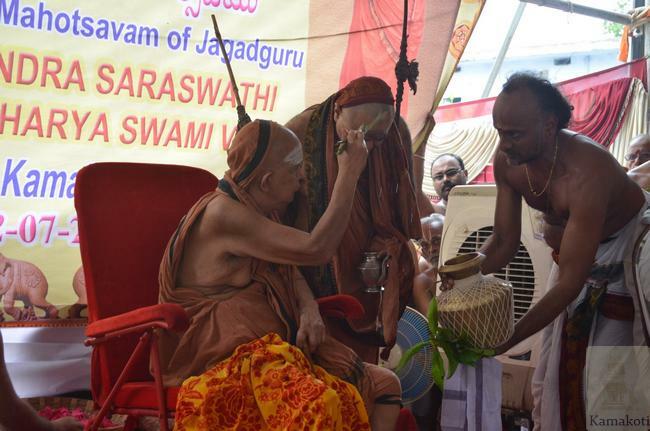 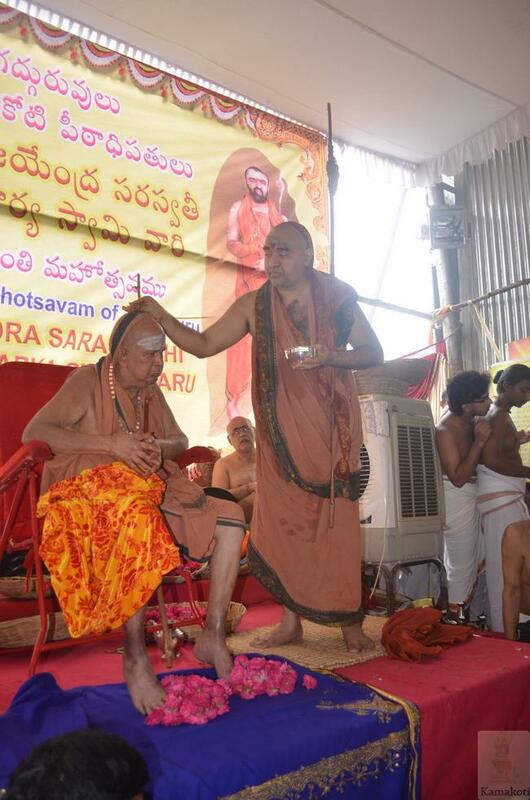 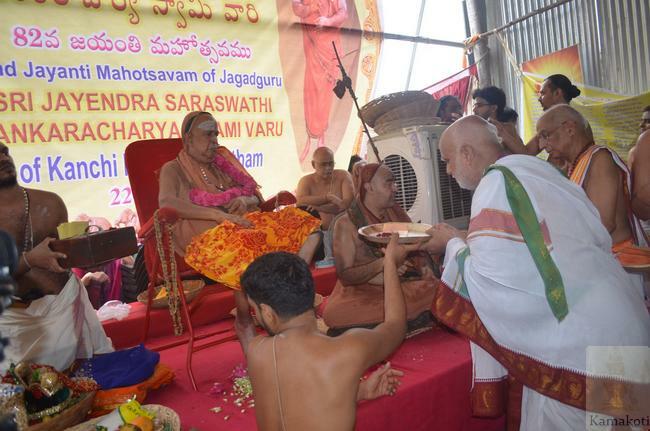 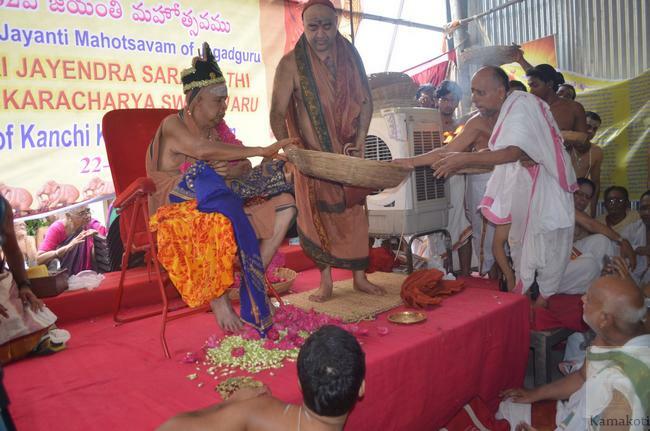 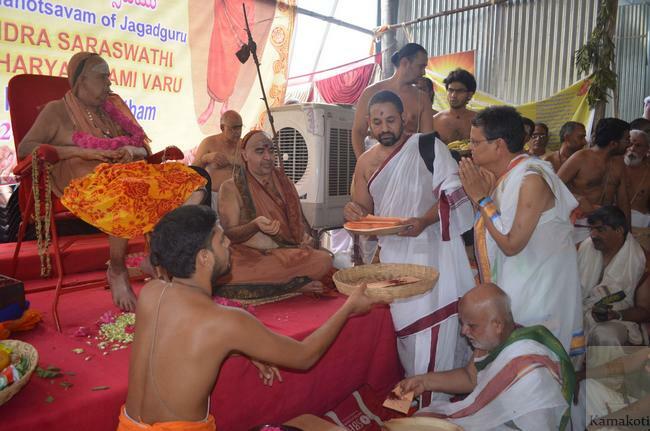 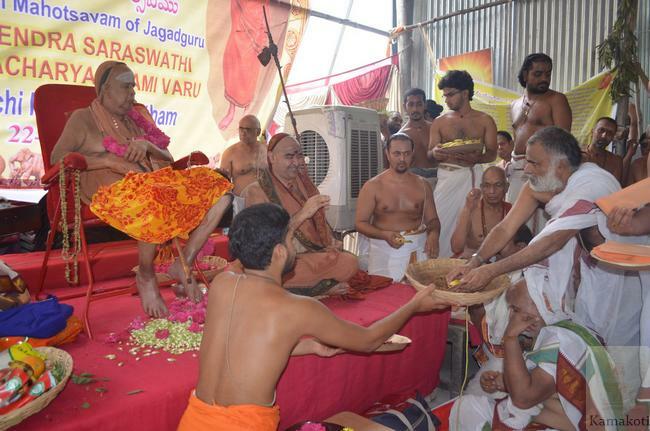 The 82nd Jayanthi Mahotsavam of HH Pujyashri Jayendra Saraswathi Shankaracharya Swamigal was celebrated at Sri Sankara Matam, Vijayawada today (22 July 2016). 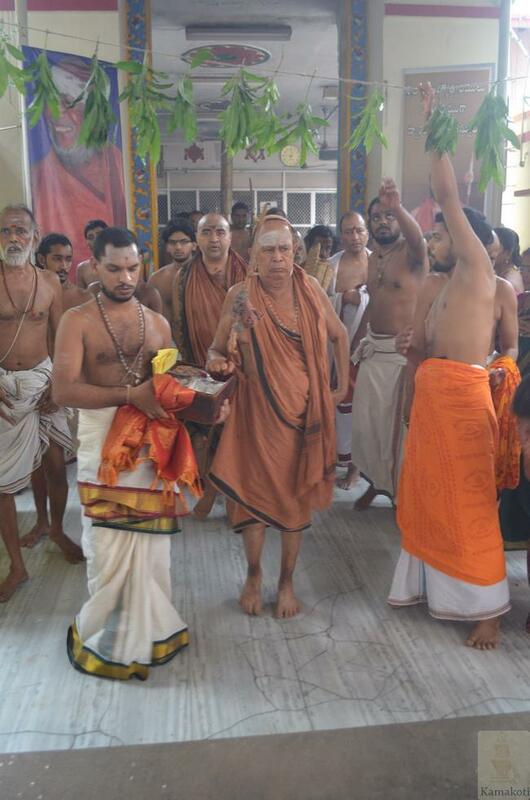 Jayanti celebrations commenced early in the morning with mangala vadyam. 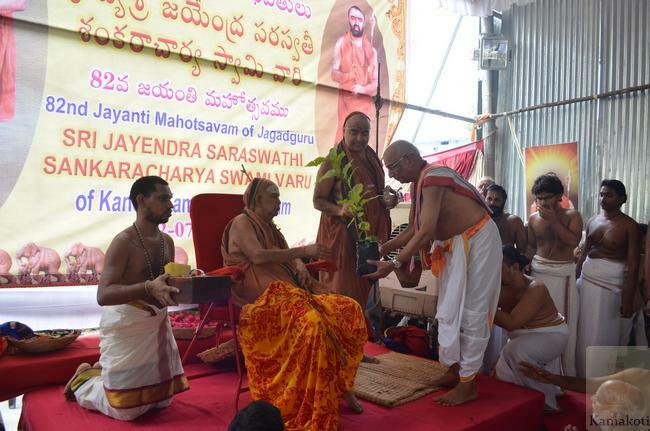 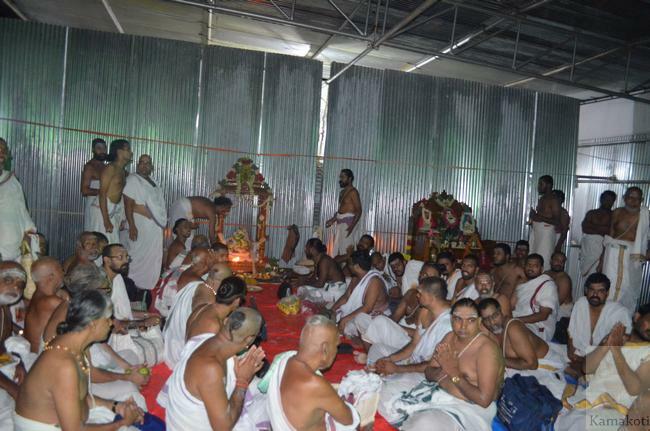 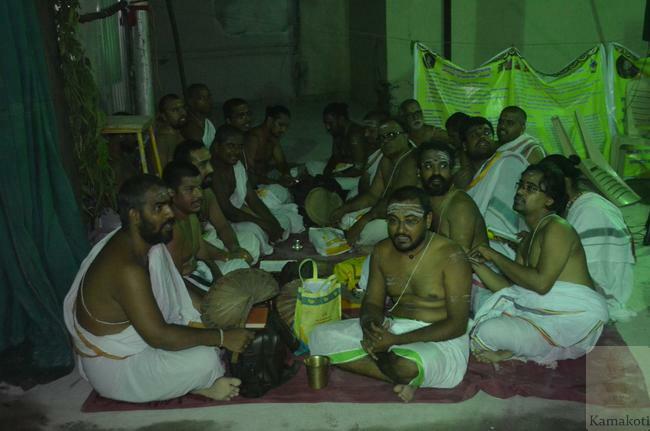 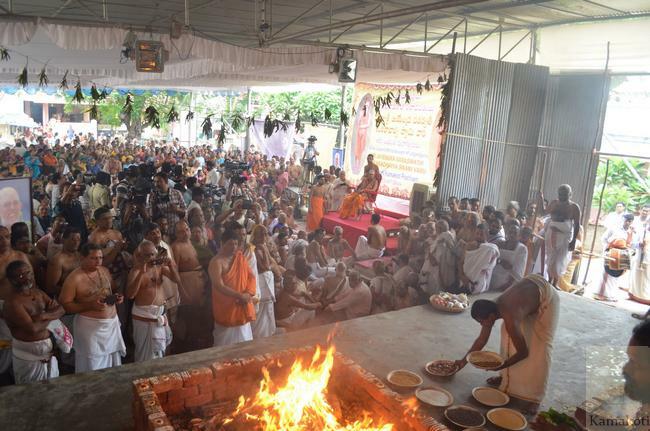 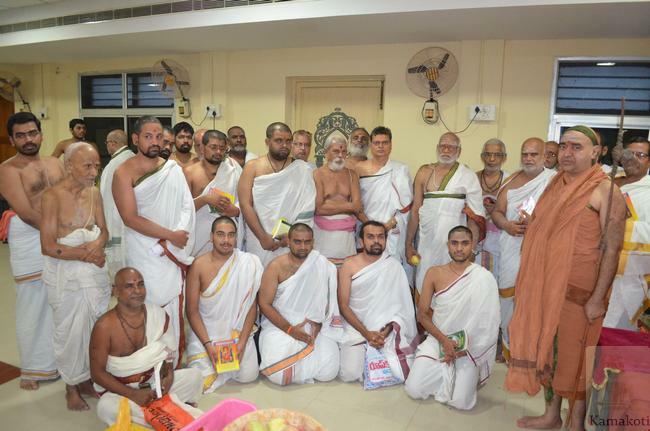 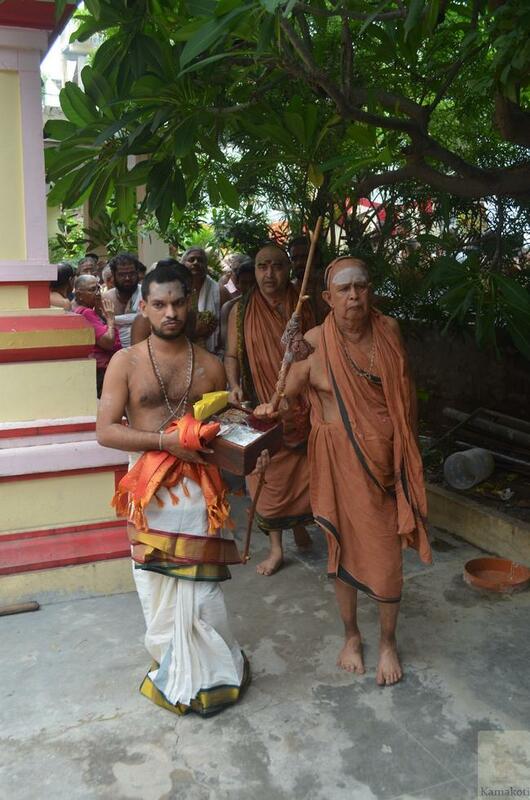 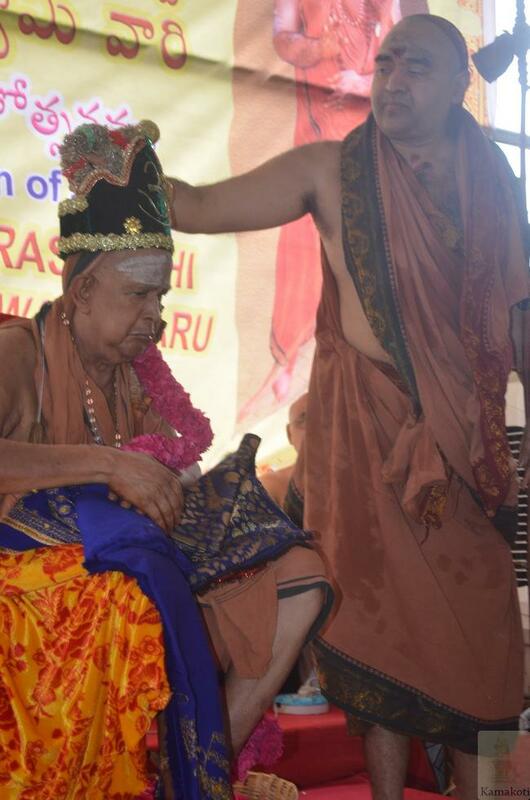 HH Pujyashri Shankara Vijayendra Saraswathi Shankaracharya Swamigal performed Swarna Pada Puja and pushpabishekam to HH Pujyashri Jayendra Saraswathi Shankaracharya Swamigal.Maharudram, Chandi Yagnyam, and Visesha Ishtis were performed. 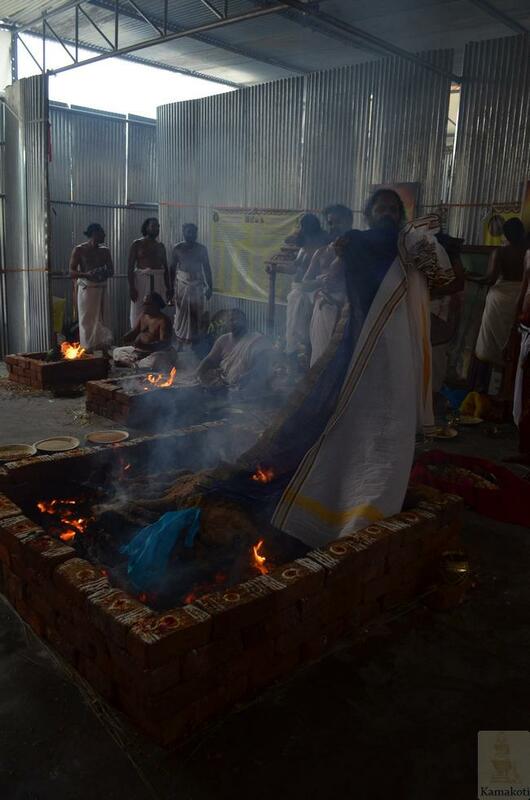 Poornahuti of the homams which were being performed since 19 July was performed. 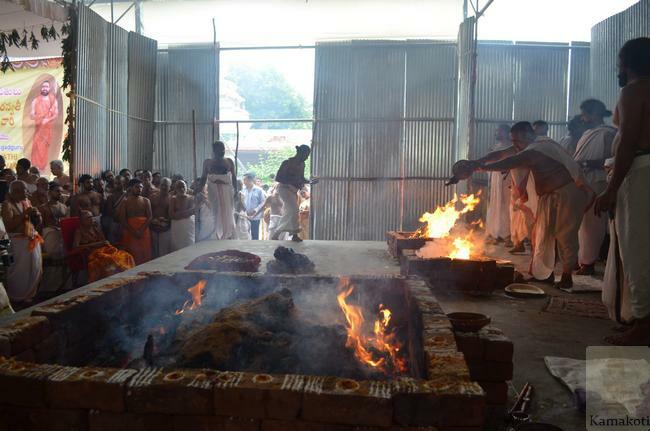 Veda Vidwans rendered Veda Parayanam. 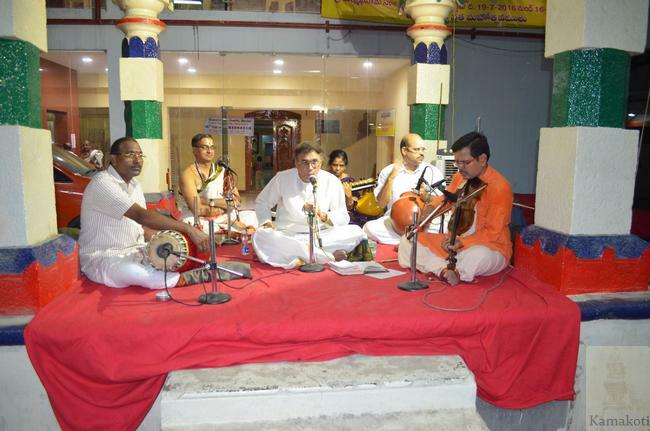 Shastra Sabha was held with participation of several scholars. 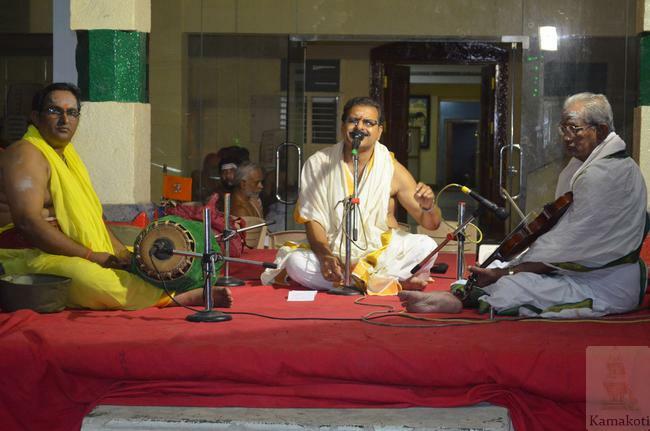 Cultural programmes were held. 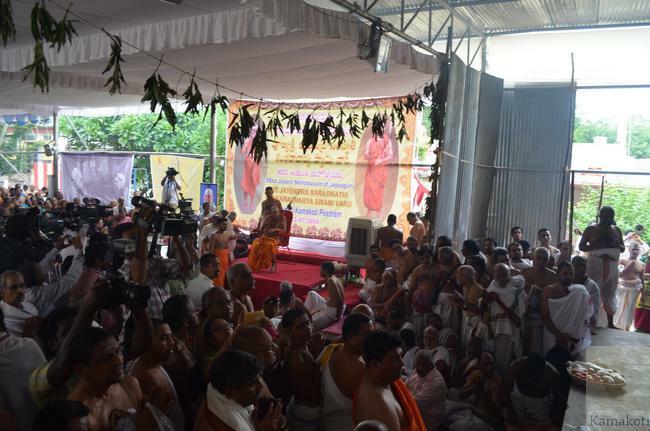 A large number of devotees took part in the mahotsavam and received the blessings of His Holiness.